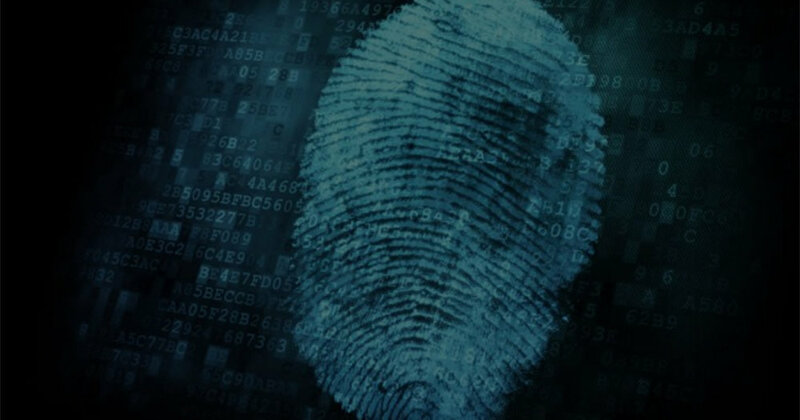 Signrs uses a unique biometrics process unlocking an original mark in media and messages. 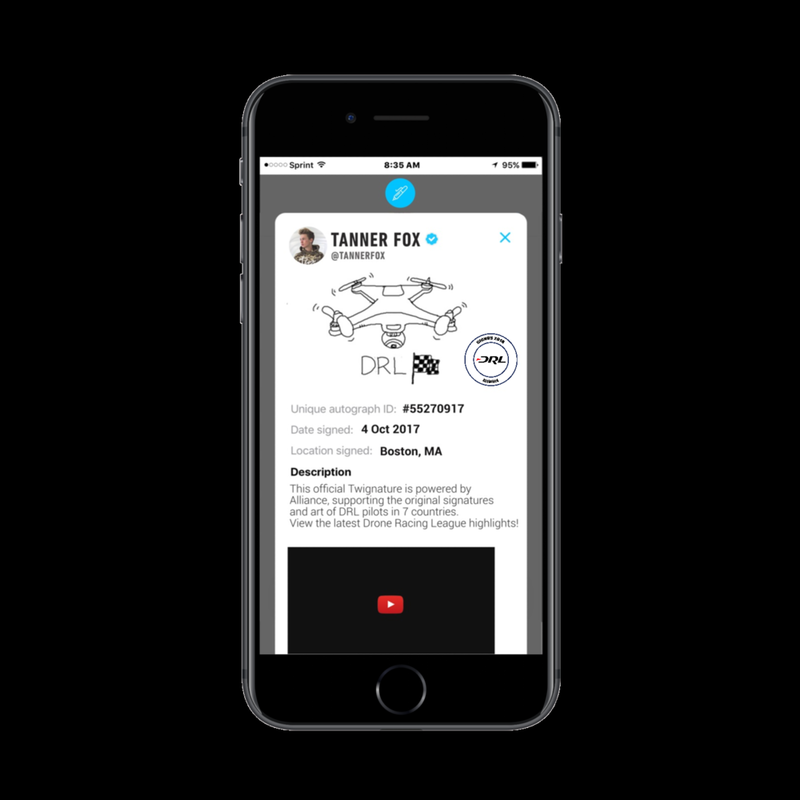 Gives your sponsors a cool way to tag along your Twitter journey. Raise money for campaigns you care about every time you sign. 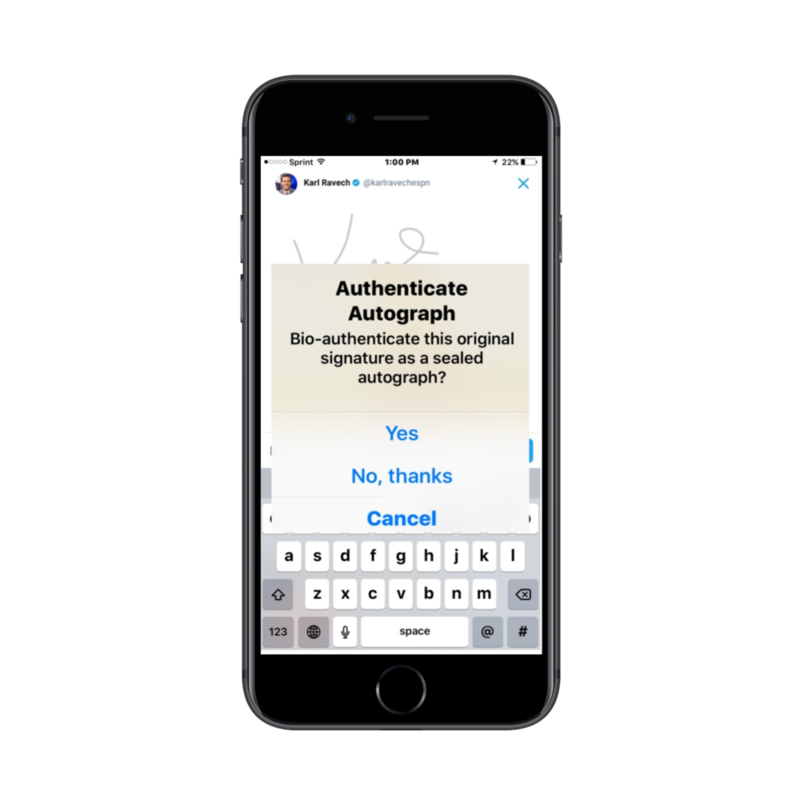 Allows free form signature (for anyone) to publish on Twitter. Turn your tweets into works of art. 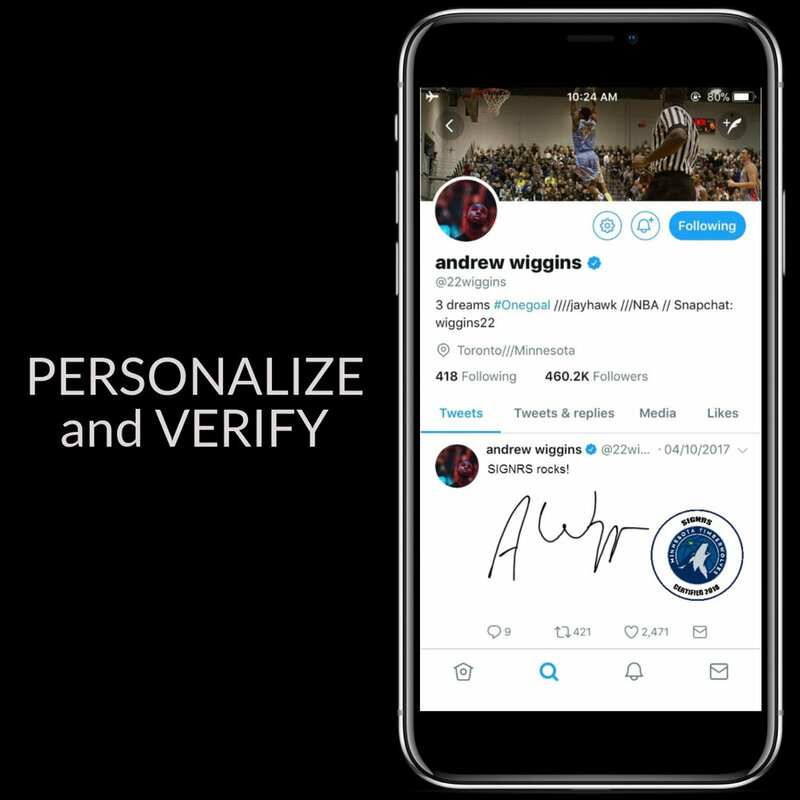 Deliver your authentically signed media for fans and followers. 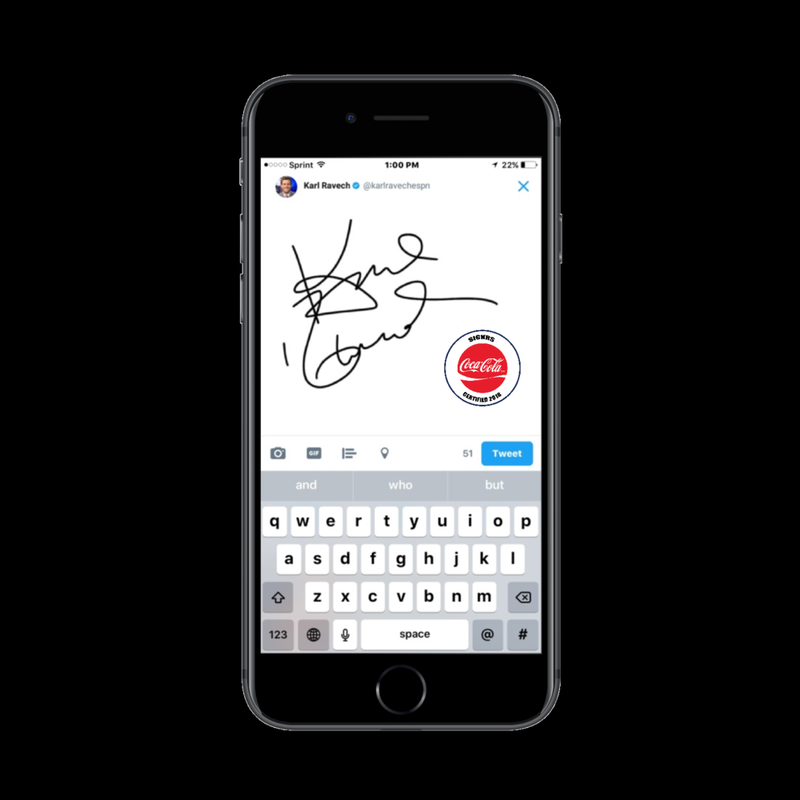 Your original signatures on Twitter have market value to your brands and sponsors. We power those original and authenticated signatures. We help you monetize your signature and drawing value over time with official Seals of Authenticity for sponsorships or charitable causes. 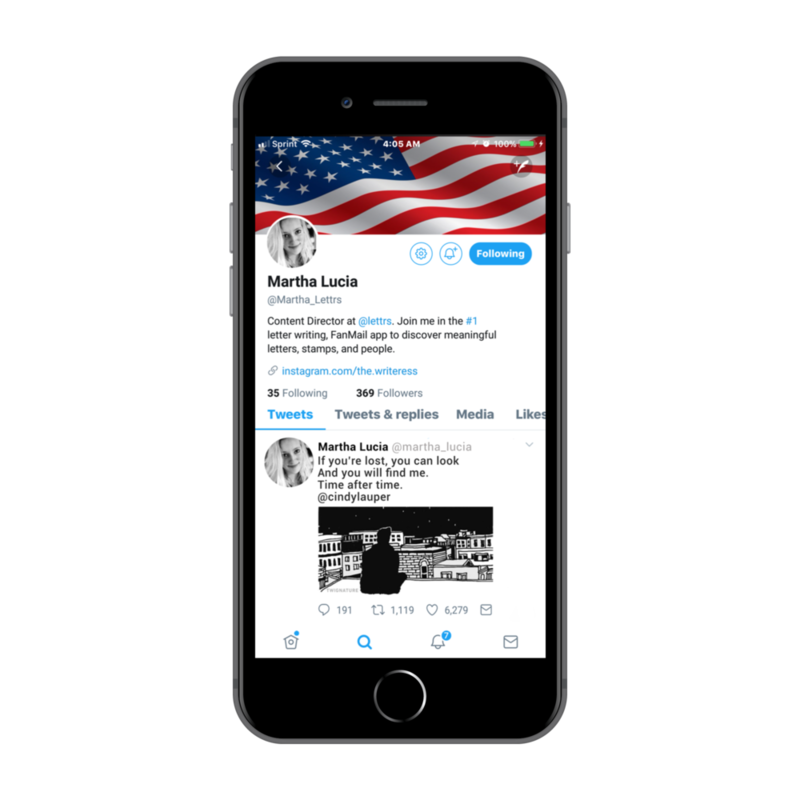 You can now personalize your style with original marks on Twitter. Just log in with your Twitter handle and sign, draw or doodle. Draw original art for brands and causes you care about, as pictures can say a million words, especially hand drawn ones. Get discovered by brands and Signrs talent reps who are always looking for new art forms in digital memorabilia.